Etiquette Iowa’s owner, Dr. Patricia Tice, has received formal training in manners and civility. Dr. Tice holds the Bachelor and Master’s degrees from Iowa State University and a doctorate in Counseling from Oxford Graduate School. She has worked in business as a human resources trainer and researcher. She has also worked in education as a counselor for at-risk youth in elementary, middle school and high school. In 1990, Dr. Tice used her good manners and social skills to host Sir Paul and Linda McCartney during their World Tour in Ames, Iowa. In 2006, Dr. Tice was selected as Professor of the Year for Upper Iowa University-Des Moines Center, where she taught psychology to adult learners. Called Iowa’s Miss Manners by The Des Moines Register, Dr. Tice is known as an expert in etiquette and civility. Dr. Tice’s new book: Agri Manners: Essential Etiquette for Professional Success is available to order on AgriMarketing.com. 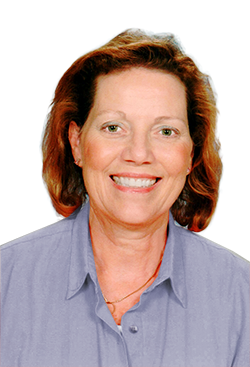 In addition to the etiquette business, Patricia is the office manager for Henderson Communications, publisher of Agri Marketing Magazine. 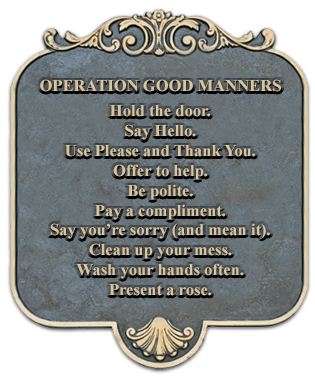 Operation Good Manners – Want your business to be added to the list of well-mannered companies? Contact Patricia today to schedule your Business Etiquette session. 515.577.8328.